The retrial in Kazakhstan of a man convicted of the 2006 murder of a leading opposition leader was supposed to fill in blanks left by the initial proceedings. Instead, it reopened old wounds for the victim’s family and raised fresh questions about the fairness of Kazakhstan’s justice system. In the dock was Yerzhan Utembayev, a former head of the Senate secretariat who was serving a 20-year sentence on charges of contracting the killing of opposition leader Altynbek Sarsenbayev. Utembayev at one point confessed his involvement before recanting at the original murder trial in 2006. On February 3, Utembayev’s sentence was reduced to 13 years after he was found guilty on a lesser charge of accessory to murder, which he dismissed as “hogwash” – and which Sarsenbayev’s friends and family members found hard to swallow. The re-trial was “a tragi-farce playing out on the Kazakhstani stage of the theater of the absurd,” said Tolegen Zhukeyev, a former political ally of Sarsenbayev’s. The court also heard sensational testimony from Rustam Ibragimov, the man serving a life sentence for carrying out the gruesome murders of Sarsenbayev and two aides, who were found shot to death in the mountains outside Almaty in February 2006. At the re-trial, Ibragimov testified that he was hired to kill Sarsenbayev by Rakhat Aliyev – who at the time was a formidable power broker in Kazakhstan married to President Nursultan Nazarbayev’s daughter, Dariga Nazarbayeva. Ibragimov also implicated Alnur Musayev, a one-time domestic intelligence chief. Aliyev and Musayev allegedly cooked up the murder plot after learning that Utembayev had hired Ibragimov to beat Sarsenbayev up over a personal grudge. Utembayev would thus be set up to take the rap. The involvement of Ibragimov, a former law-enforcement officer, focused attention on suspected links among powerful politicians, the security services and organized crime. Such links, some observers believe, remain a feature of Kazakhstan’s political landscape to this day. 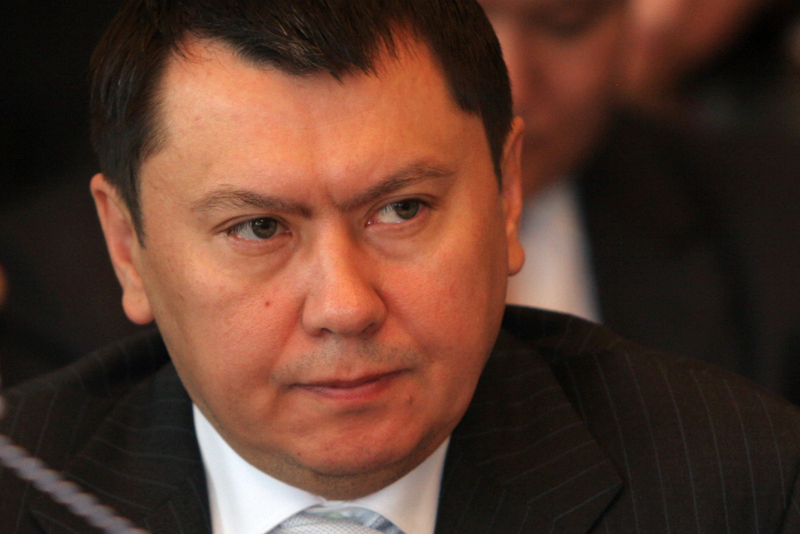 Nine rogue intelligence officers who kidnapped Sarsenbayev received prison terms at the original trial, while Ibragimov got the death penalty, later commuted to life imprisonment. The retrial was sparked after Ibragimov made a new statement about the murders in April 2012, a fact publicly revealed in December 2013. Ibragimov first confessed to the murder in 2006, then recanted at the trial, when he first alleged the killing was part of a coup plot. At that time, he did not mention Aliyev, then still an influential figure in Kazakhstan. Ibragimov instead implicated two powerful Nazarbayev allies, Nartay Dutbayev, domestic intelligence chief at the time, and Nurtay Abikayev, then Senate speaker (and nowadays the domestic intelligence chief). Now Ibragimov admits the murder – and says the plot was cooked up by Aliyev, seeking to propel Dariga Nazarbayeva into power. The public airing of this theory constitutes a blow to Nazarbayeva, a prominent MP viewed as a potential contender to succeed her aging father as president. This has prompted speculation in Kazakhstan that the timing of the retrial is connected to infighting among elite groups as a succession struggle plays out behind the scenes. Sarsenbayev’s family members are outraged that the judge rejected their bid to have several powerful figures testify at the retrial, including Nazarbayeva, Abikayev, and Dutbayev (who have all previously dismissed allegations of involvement). Ryspek Sarsenbay, the victim’s brother, contends there were glaring loopholes in Ibragimov’s latest testimony – and he still suspects a cover-up. “If at the first trial he was covering up the real contractors and now says it was supposedly Aliyev and Musayev, I think this time he’s covering up the name of the contract killer,” Sarsenbay told the press conference. To boost the credibility of the investigation, Kazakhstani prosecutors brought in representatives of the US Federal Bureau of Investigation. In December, John Ordway, US charge d’affaires in Kazakhstan, said in a statement that agents had “excellent access to all case records. He added that FBI experts were able to conduct polygraph examinations of witnesses “independently of Kazakhstani authorities,” and the FBI’s findings were “consistent” with those of Kazakhstani investigators. Aliyev and Musayev – who have both denied involvement – could not be reached for comment. Both also fled Kazakhstan long ago; Aliyev left in 2007, when he fell out of favor with Nazarbayev and was divorced by Dariga. Aliyev has remarried and now lives in Malta under his wife’s family name, Shoraz. While in exile, he was tried in Kazakhstan in absentia on a variety of charges, including kidnapping, embezzlement, and coup plotting, and sentenced to 40 years in jail. He has never been tried for murder, although investigators have linked him to several mysterious deaths. Joanna Lillis is a freelance writer who specializes in Central Asia.